Pluto nearly fills the frame in this image from the Long Range Reconnaissance Imager (LORRI) aboard NASA's New Horizons spacecraft, taken on July 13, 2015, when the spacecraft was 476,000 miles (768,000 kilometers) from the surface. 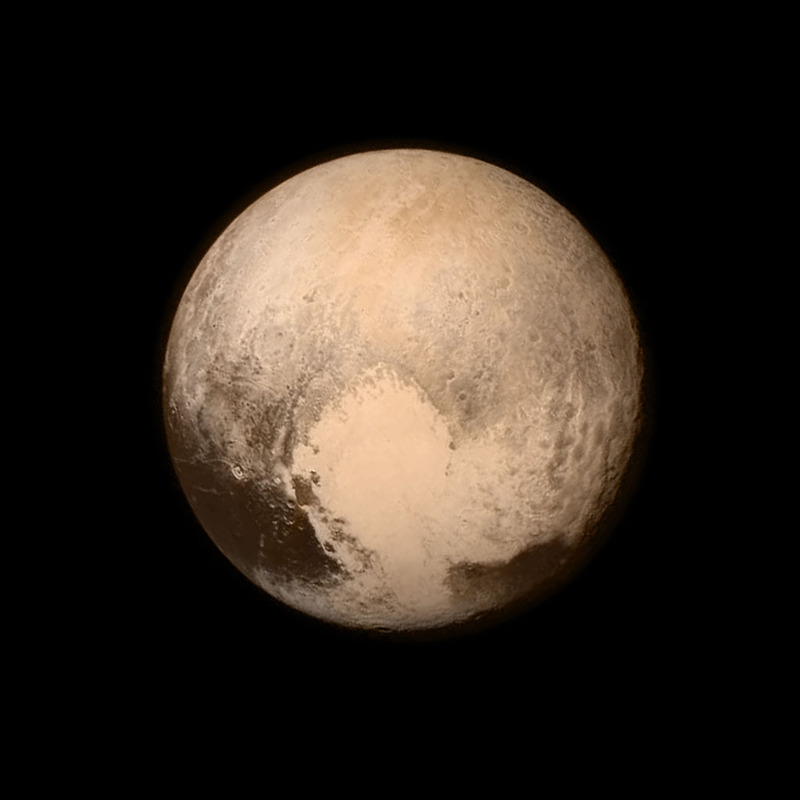 This is the last and most detailed image sent to Earth before the spacecraft's closest approach to Pluto on July 14. The color image has been combined with lower-resolution color information from the Ralph instrument that was acquired earlier on July 13. 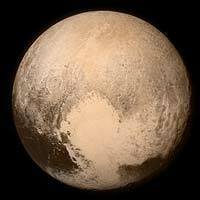 This view is dominated by the large, bright feature informally named the "heart"� which measures approximately 1,000 miles (1,600 kilometers) across. The heart borders darker equatorial terrains, and the mottled terrain to its east (right) is complex. However, even at this resolution, much of the heart's interior appears remarkably featureless -- possibly a sign of ongoing geologic processes.